Sponsor Trophies, Best of Show and More categories! Shopping | Door Prizes | Food | 50/50 Drawing | More! 3:00 PM – 5:00 PM – Free Cruise ending at ?????? Gold Sponsors: Black Hills Energy, Citizens State Bank, Freese Motors, KDST Radio, KMCH Radio, Monticello Rotary Club, Stephen Motors, Welter’s Storage and Equipment. Show entry is $5 per vehicle. Receive a $5 Monticello Chamber Bucks Certificate, redeemable at area businesses. We ask that you register your car or truck so you can participate in the drawings and contests that are exclusive to registrants. Win Great Jones County Fair concert tickets as door prizes! Two drawings for $25.00 in Chamber Bucks. This event is open to all years of cars and trucks. Entrants will get a windshield card to let people know all about you and your car, truck, or street rod. 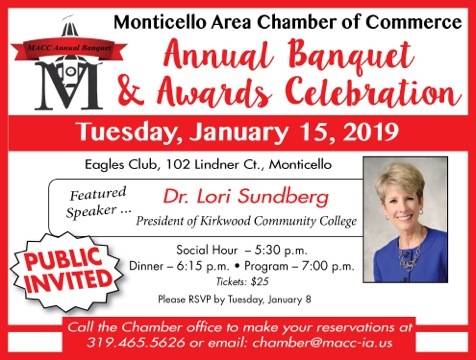 Please contact the Monticello Area Chamber of Commerce for sponsorship info. : 319-465-5626 or Monticello Area Chamber of Commerce. MACC now requires all food and beverage vendors to complete a Vendor Agreement and pay any applicable fees prior to the day of the event.